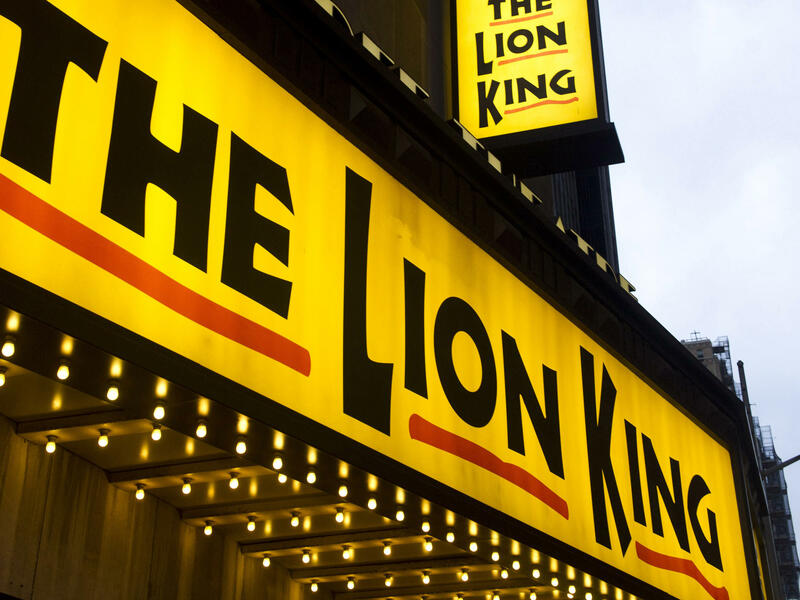 A puppet technician for the long-running musical The Lion King was arrested after police found him allegedly using a 3D printer to manufacture a gun at the theater. New York City police Officer James Taylor says that when he arrived at a production and prop room for the musical, he saw a 3D printer producing a hard black plastic object "shaped like a revolver in that the object has a hand grip and a pointed, snub-nosed nozzle" and "an empty space where it is customary for a cylinder holding live rounds of ammunition to be placed." Printed guns have been in the headlines recently, as several states moved to block a Texas-based company from posting and selling plans for the guns online. Last month, a federal judge in Seattle granted a preliminary injunction preventing the publication of online blueprints for the guns. Vett was arrested and charged with attempted criminal possession of a firearm. According to the criminal complaint, he told a detective that he was making the gun as a gift for his brother, who lives upstate and has a firearms license. Vett said the 3D printer was his own and he had brought it to work because his own workshop was too dusty, the complaint says. The defendant reportedly explained that he found the plans for the gun online and downloaded them to a memory card. The card was inserted into the printer, which police say was powered on, moving and in operation when they arrived. Vett was released Saturday and his case adjourned until Nov. 7. His attorney declined to comment. The New York Daily News reports Vett was losing his job at The Lion King and that security found the printer and partially printed gun while assisting him in clearing out his things. An NPR request for comment from Disney, which produces the musical, was not returned. In a video posted by Disney in November 2017 (and removed from YouTube today), Vett explained that being a puppet technician means ensuring the puppets used onstage continue to work properly. "Usually by the end of every week, we'll have seen every puppet and just given it a look," he said. "And if something's wrong and it needs a little paint or there's something that's not functioning correctly, we'll then go in, fix it and get it back onto the stage as quickly as possible." In late July, New York Gov. Andrew Cuomo announced a series of actions to prevent distribution of 3D-printed guns, including issuing a state police notice of the relevant statute. "[T]he production of pistols and revolvers is also illegal in the absence of a license to own one," Cuomo's office explained in a news release. "Even a valid pistol permit does not in and of itself authorize an individual to possess a 3D-printed pistol or revolver, since there is no guarantee that a local firearms licensing officer will allow a 3D-printed pistol or revolver to be registered on a pistol license." In court documents filed in July, states' attorneys general seeking to block publication of the gun blueprints described "irreparable" harm that would result from the files' release. "The States' extensive and comprehensive firearms-regulation laws are seriously undermined by the Government's actions," they wrote. "Once the files are publicly released, anyone with access to a commercially available printer—regardless of their age, mental health status, or criminal history—will be able to download the files and use them to make functional weapons at home that can evade metal detectors, that are untraceable because they contain no serial numbers, and that use bullets that are forensically untraceable to the weapon." "[It's legal] for Americans to make their own guns for personal use, as long as those guns set off metal detectors and show up on X-ray machines. If you're 3D printing part of a gun and using metal components for other parts, as some designs call for, no law is violated. "However, one of the Defense Distributed designs is virtually all plastic, except for a metal firing pin. Critics say that design will allow illegal, undetectable guns to proliferate. However, skeptics note that design is not very reliable compared with guns with metal parts."